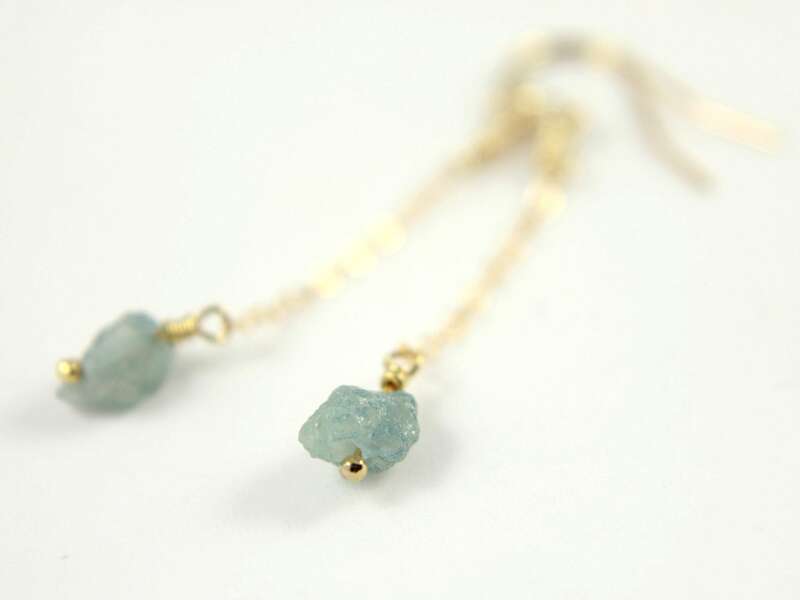 Irregularly shaped triple rough Aquamarine stones are hanging from 14K Gold Filled chain and earwires. The stones measure approximately 5-7 mm each. 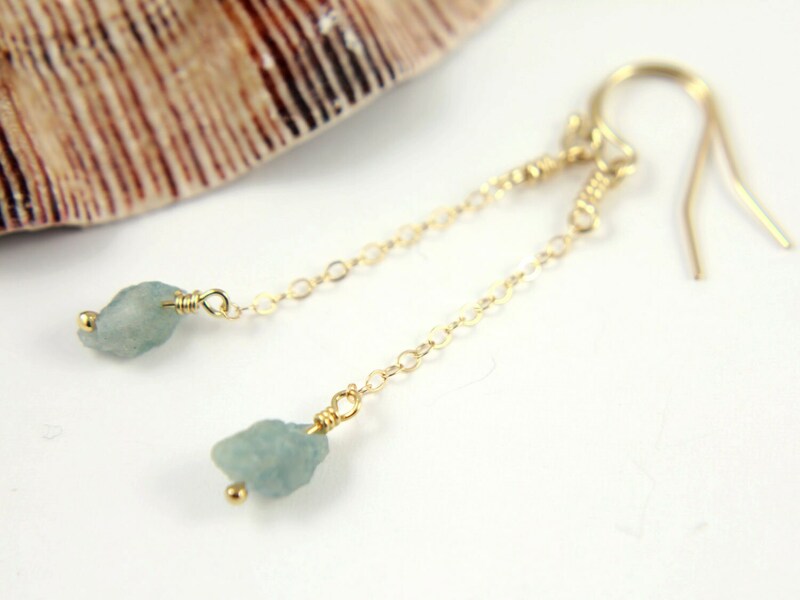 Since the stones are natural and rough, they may slightly vary in size, shape and color on each pair of earrings. 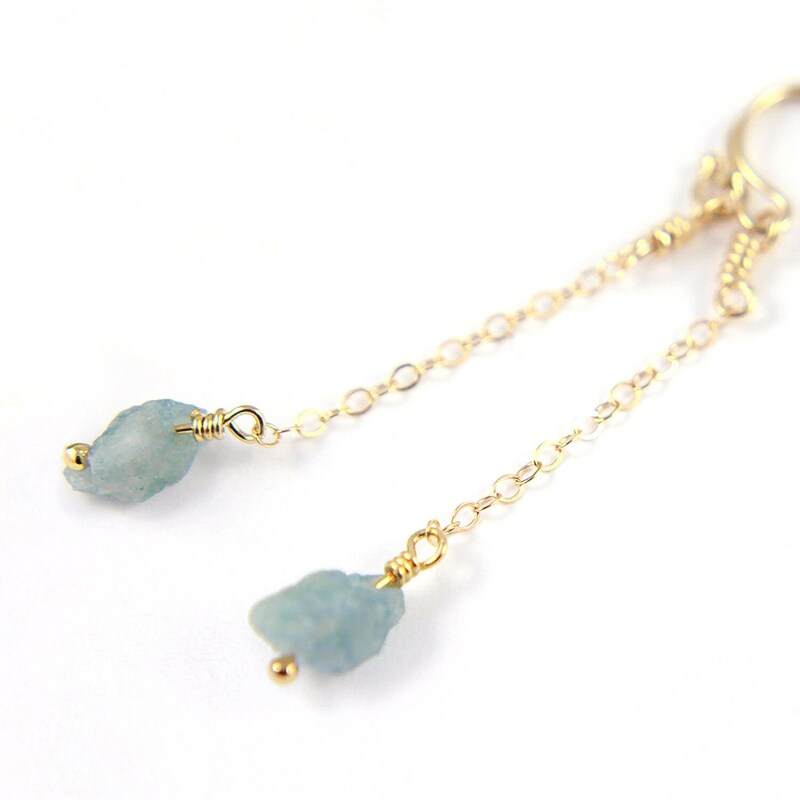 Their uneven shapes make the earrings one-of-a-kind. The length of the earrings is approximately 1 1/2 inch starting from earwires down. 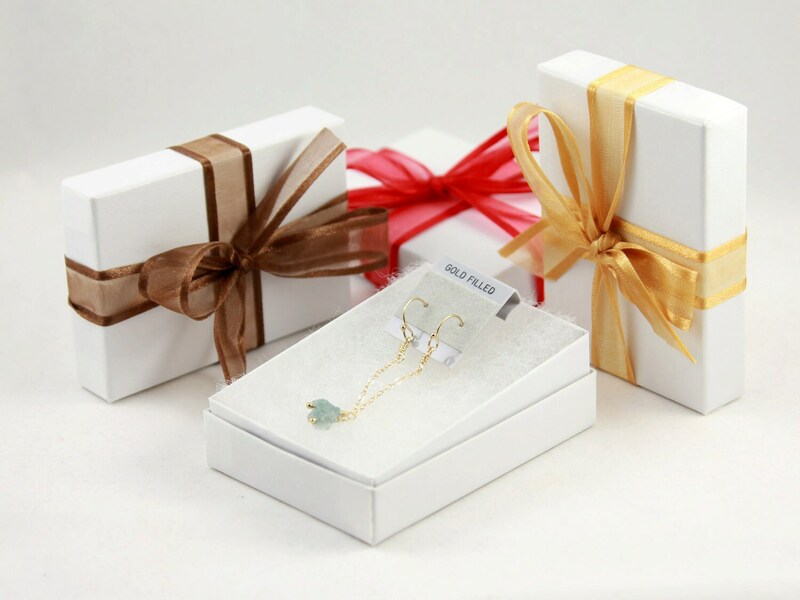 The earrings come in a nice gift box tied with a lovely ribbon as featured in the picture #5. It is ready for gift giving!